Hello dear readers. It’s been a long time with only a Gribblin to keep you so I thought I’d turn up and bring you all a warning about a company that some of you may be familiar with or may not be. The company in question (no surprise I know as it’s in the title) is Games and Gears. I own a set of their Ichiban Pro brushes that I backed the Kickstarter for and I have to say they are excellent products and I enjoy using them. However, my next experience with them has been far from acceptable let alone good. In late 2013 Games and Gears started up a Kickstarter for their “next generation battle boards” a 6′ x 4′ set of boards that you could get for a very reasonable price. As they were offering a 10mm scale Dropzone Commander board I leapt on board and pledged for a set, with the May 2014 delivery date being barely 6 months away this seemed like a great project to back and would get me some nice boards to share with friends for our games of DzC, a bit more stable than the card tiles we used from the cityscape set at the moment. So, I bit the bullet, sent off my money and even added to that by pledging for some dice trays and model trays to enhance the board and keep things tidy. All was going well, people were excited about the boards and then China had a flood. Now, this isn’t really an issue, folks are understanding and these things happen. However, what happened thereafter has been a tale of misery and woe that any company could do well to learn from as G&G have just run their reputation into the ground among those who have backed and supported them. Originally we were told that only some of the boards were damaged and things would carry on with a few boards being delayed slightly. This was quickly then changed that all the boards would be scrapped and remade and G&G were sticking with the company that had been flooded as a gesture of good will. I’ve got no problem with that either. What people did take issue with was the fact that this is pretty much the only information that was given until December 2014. Every single update mentioned that the flood had taken place, but that the boards we were getting are awesome and we’d be excited to get them in our hands. We were also updated that in December all the boards were in the UK for QC testing. We delayed this Friday update hoping to get all the answers prior posting this. We will get the info next week. – Once cleared customs on the the road to our warehouses. In Jan 2015 final QC checks, insuring each board has arrived safely as well with trays. Recount of the 50000+ clips. Pretty much final preparations before we release these to you and that we have insured you get top quality. If anything Ichiban Kickstarter has shown us the slow process we take to insure every step is done properly pays off with great customer satisfaction. 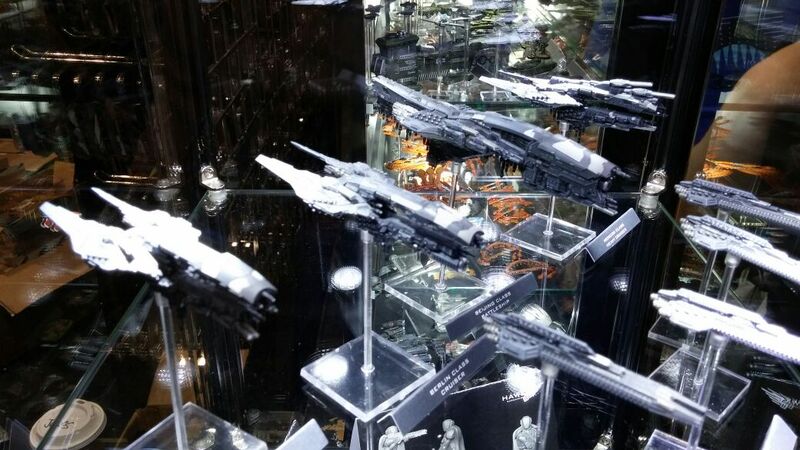 -Dropzone Commander Battle Boards (10mm) Expected to be ship from Shenzhen port end of this coming week. Worst case beginning of the week after but it finally bound to get out of China :)!! – Anima Wars Still Projected to be Shipped out on the 22nd. – Anima Paint Job to be finished today. We going to allow one more working day which will be Monday just to be sure it is all completed. Then QC check and pack. – Hellscape 5th final paint job still under way. We were told that the QC testing involved them unpacking and checking every single board and then repacking it. Rather exhaustive and people were just asking when we could expect to see the boards if they were all in the UK? 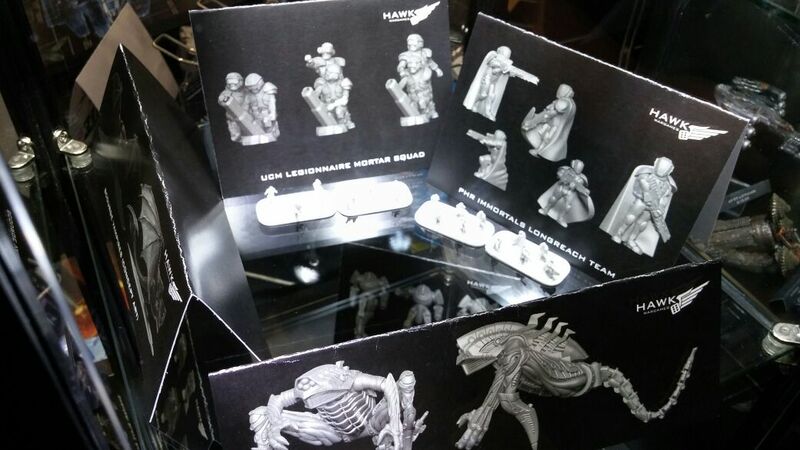 We received updates saying that the Hawk Urban Wars (the boards that had been received by G&G and were undergoing QC in that December update quoted above) would be shipped to backers by April 15th. No-one received their boards by this date. 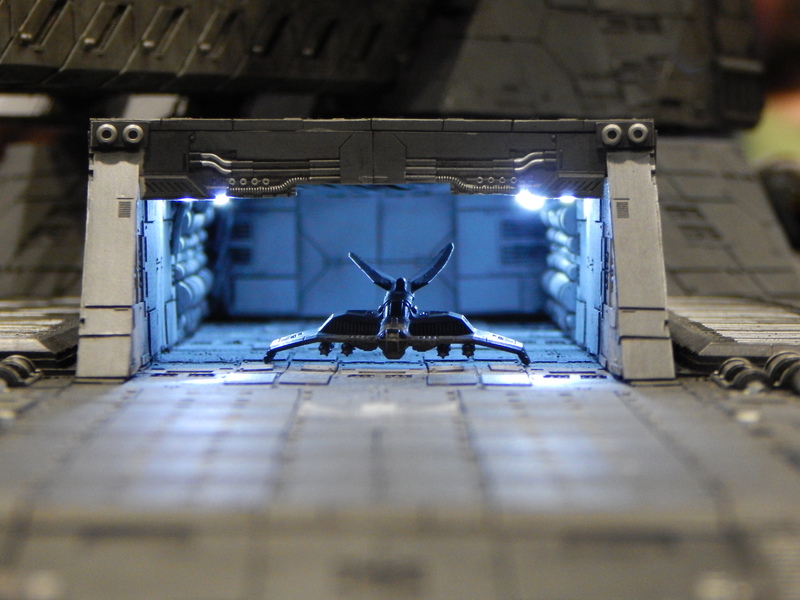 – Hawk Urban War Battle Board: Are turning up. Please allow till the 15th of April for your gears to get to you. When you do get them please post pictures of them and share them with us. What if I don’t get my Hawk Wargames Urban War battle board by then? Don’t panic. Some will slip past the delivery times as have done with our other kickstarters, or missed deliveries. Just pm us and give us a few days to sort it and get it back to you as we have to locate it, most times it is just on it’s way :). When did these boards start arriving? Last month! People in Hong Kong and then Australia were the first to start receiving their boards, odd considering the boards were supposedly in the UK after having been held up in customs…. Unsurprisingly the backers of the Kickstarter asked questions of G&G as to where all these delays were coming from? All people wanted was honest answers. We even got a response from the head of the company saying that they’d messed up and would do better. So, what happened after that? Well, they actually cut off any and all communications with the backers. Unless you PM them asking only about tracking numbers for packages or saying you’d got your boards you’d not get a response. We now have updates saying that the people that were responding to the comments no longer have the time to do so. Any questions that have been asked on their Facebook page have vanished as soon as they’ve appeared, leaving only positive things to be shown. We still have no idea about when (or if) any of the other boards are going to be delivered because no-one is talking to those that put their money in to allow G&G to actually manufacture them. The backers have been fed the same recycled soundbites over and over again and all the community has asked for is a proper explanation of what is going on and where this project is. This is greeted by stone cold silence from the company. People showed patience at the start, But over a year since the delivery date should have been (we know Kickstarters overrun but at least there is normally some communication and not out right lies from the people involved) and a lot of people are getting upset about things. G&G have even made accusations against some of their backers that they are determined to harm G&G by being slanderous about G&G. It’s untrue, all that has happened is that G&G have been called out for lying. They give one date and then change it. The boards were sold as “base painted” they are not, they are plain grey plastic, not the “two coats of grey” that we have been told. This has been confirmed by every single person that has received their boards. The carry case that was supposed to be included has been cut from the final deliverable, this is apparently due to the weight of the boards and the expense of shipping. To keep the Kickstarter in the black, things that were promised to the backers have been cut, so we’re no longer getting everything we were told that we would be. We are basically getting a set of bare plastic boards with a few painted areas on them. For the £62 I pledged I’m not going to complain too hard about that, but if I was buying the £140 retail set I’d not be happy about what you get for the money. I’m still waiting for my Dropzone boards, I have no idea when they are going to get here and G&G will not speak to anyone about that. So, we’re over a year late, a year in which everything that we have been told is happening, and every date we have been given has more or less been shot down and passed. Yes, some people finally have their boards, but they’re all saying that what they’ve got wasn’t what they were expecting. And, while the boards are OK, they’re certainly not the standard that the Kickstarter seemed to promise. I’ve backed many Kickstarters by now and none of them have been this poorly managed. Completely cutting off communication with your customers is never a good thing to do, especially in as close a community as the wargaming fraternity. So folks, if you fancy yourselves some “next generation battle boards” you’re better off buying the GW ones, yes you’ve got to paint those, but you get someone to carry them in, can get them easily enough and you’re going to put as much work into those as you can do for these ones that are just plain grey plastic too. I’m really disappointed in G&G and the way they’ve handled this. Being honest with their customers would have stopped a lot of the vitriol. People can accept when things go wrong, what they don’t accept is misinformation, lies and being accused of slandering the company that is seemingly doing everything it can to cover up and ignore what’s going on. 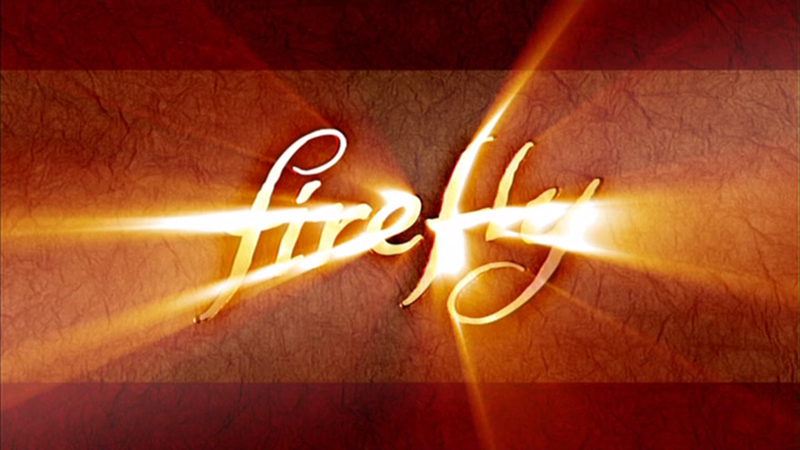 The premise of the game of the game is that each of the players gets one firefly class ship with a captain and spends their time doing jobs, salvaging wrecks and avoiding the reavers. There are a number of missions that you can choose from to set the scene for the game. The default one is to get ‘solid’ with two of the five contacts (people you get jobs from – Badger, Patience, Niska etc. ), then make 6000 credits and then give that to Niska so you can buy your ship. Jobs can be legal or illegal and come in a variety of flavours from simply cargo/passenger carrying from planet A to planet B to train robberies and bank hold ups. Money can be spent on ship upgrades and crew that will make completing these jobs easier (and all the characters from the show are in there). Sounds simple enough doesn’t it…except for the fuzz and the Reavers. Above is our group playing a game recently. The game works on a turn based system, but can have two players working out their turn at the same time, with a a dinosaur token indicating who is controlling play at that moment. This allows one player to move their ship whilst another player shops or looks at potential jobs. This has the great advantage of speeding up play. Picking up jobs or buying stuff is pretty self explanatory: you can look through 3 and choose 2. Jobs are active when you start them and upgrades, crew and items are bought and paid for. An interesting point is that your crew have to get paid after of each job you do and if you don’t pay them they get disgruntled allowing another player to buy them if they land on the same space. If they gain a second disgruntled token then that crew member will abandon ship, so keep your crew happy by paying them. You can of course give them money to spend on shore leave when you get to a planet. The interesting part of the game comes in moving. You can choose to mosey (move 1 space safely) or spend fuel to do a full burn. If you do a full burn you turn over a movement card for each space you move. There are two decks; blue for use in Alliance space and red for when you’re in the outer systems. This adds a good degree of randomness as you may have an uneventful journey sailing into the black, get stopped for customs inspections, savage opportunities, break downs etc. There are also cards to move the Alliance cruiser or Reaver ship or worse case they turn up on your square immediately allowing both other players and card randomness to screw you over. “Ah curse your sudden but inevitable betrayal” – Stegosaurus (yeah if you’re not getting the quotes I encourage you to watch the show…hell I encourage you to watch the show anyway). The game has a high level of replay-ability, despite that fact that Servitob seems to win a lot. The randomness of the movement cards and the large number of jobs means that each game won’t be the same. 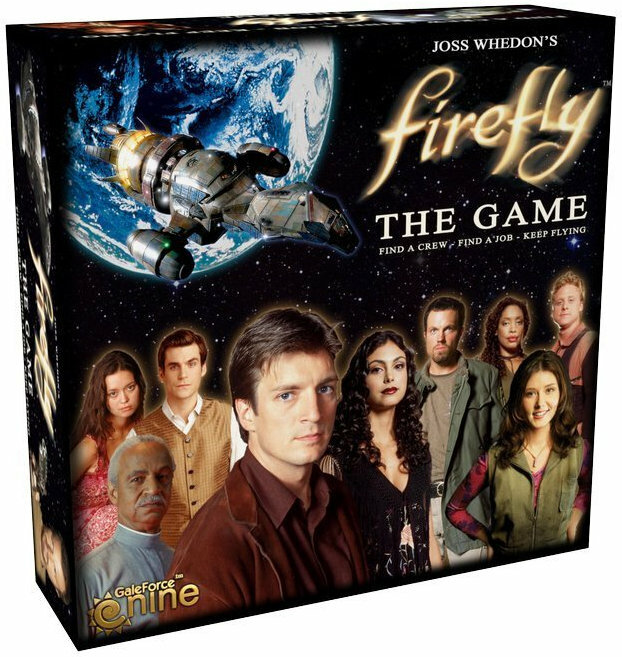 If you’re a fan of the show and a decent board game I recommend giving it a go. It should take about 2 hours depending upon the number of players (1-5). As for my gaming life I think it’s about time I started writing again. So to start off with here’s a few pictures from Salute. We went as a group (minus 1 who hadn’t earned enough points to get out of a wedding). 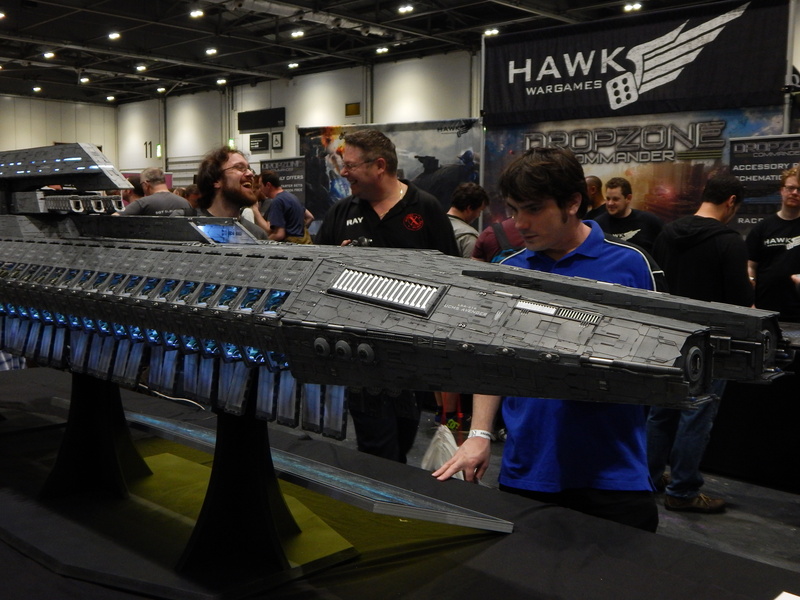 I thought I’d taken more than this, but I’ve noticed that all of them were around the Hawk Wargames stand…ooops lol. 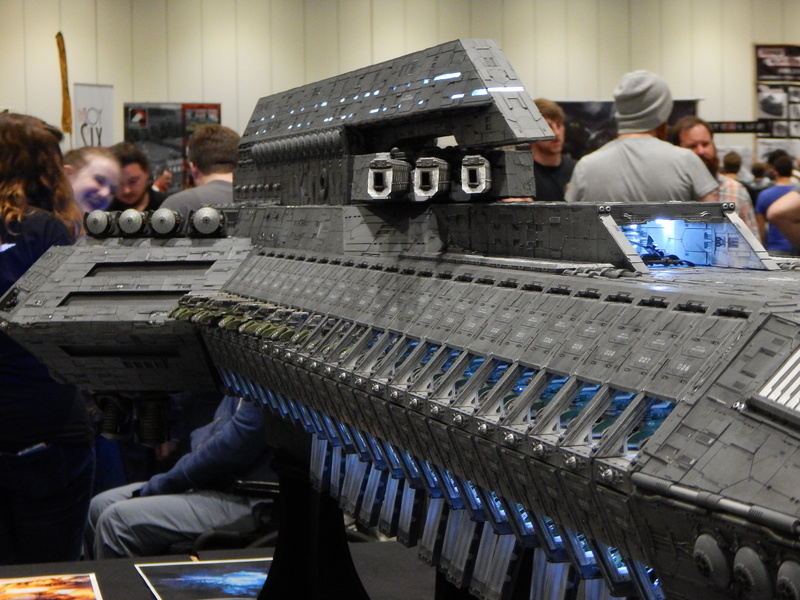 Last year they had an almost finished model star ship that was totally done this year. They’ve also done some preview models for the new space-based game that should be released late 2015/early 2016. Sorry the picture isn’t up to my regular standards. 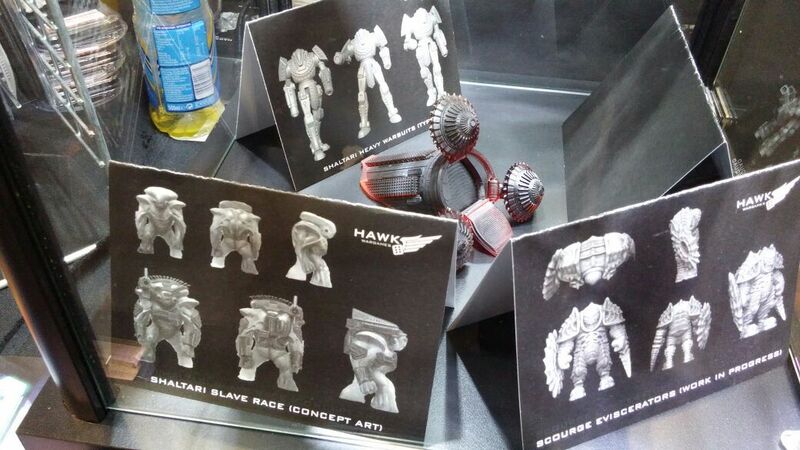 There were also examples of the concept art for some upcoming models – mostly new infantry models. Well that’s it for my return the Floating Citadel. I shall endeavor to blog more often as I game regularly. The past few weeks have seen the denizens of the floating citadel and friends playing some stellar themed games. First up were some games of Star Trek: Attack Wing. Gribblin actually has some trophies for this game so it was under his expert guidance that we set off. I’m not much of a trekkie but even i could see that there are plenty of ship variations available. Each ship is customisable with crew, weapons and captains. The actual game mechanics are loosely similar to the veritable ‘Wings of War’ biplane combat game, crossed with the combo-building elements of games like Warmachine. Overall a good looking game which is fun to play provided you know what you are doing in the fleet building part – knowing which crew combo works best with each ship is half the battle and for some people undoubtedly half the fun. I have played this game previously without guidance during the building part of the game and just found the whole experience frustrating. So if you’re going to play, play with experienced gamers who are willing to show you the ropes. Next up saw me digging out my ancient Full Thrust rules and miniatures. Full Thrust is a pretty unique game in the field of spaceship games in that movement rules do not assume that space is full of custard. This game is really old, timeworn, and still popular. Probably because it’s simple and fun. Full Thrust seems to shine at the fleet battle scale, with more players and more spaceships making the game better without adding complexity. 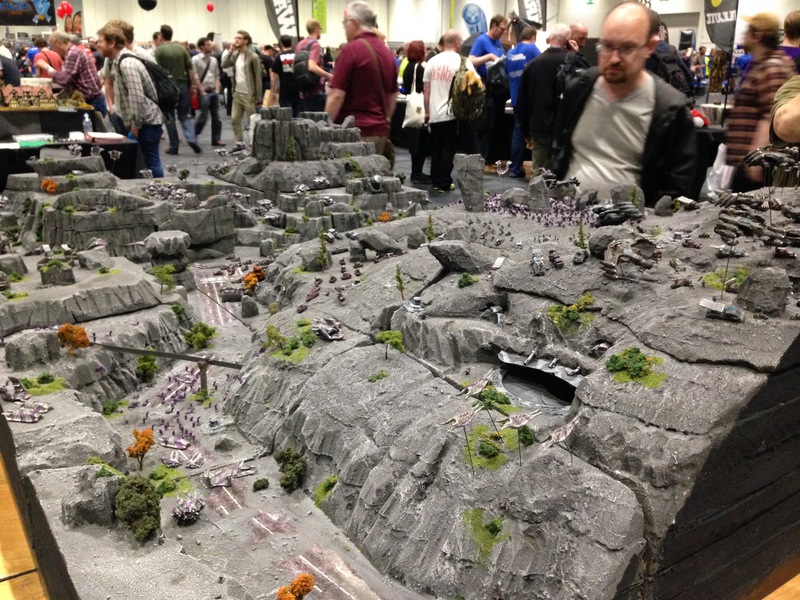 Whilst not the best looking game out there, it will keep gamers looking for more realism happy and the rules scale well if you fancy using your own miniatures. 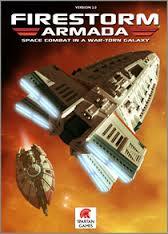 Which then brings us on to the floating citadel’s previous favourite – Firestorm Armada. We talked about it, and how it was to a large extent a rip-off of Full Thrust, before discovering that version 2.0 is now available for free online! Hopefully our dusty fleets will be making a reprisal in the next few weeks as we try out this new and interesting version. Those miniatures still look fantastic! Mantic games have launched yet another Kickstarter, this time for their highly acclaimed Warhammer wanna-be Kings of War. You can choose to either grab the rulebook ($50 nets you a full hardback one that includes the rules and all the current army lists as well as a smaller format one for taking out with you in your army case). Or, for the princely sum of $150 you can get the rules and your choose of 2 starter army sets or one mega army. I must say that I’m tempted by the mega army, as I’ve been looking at the Abyssal Dwarves for a long time and I’ve only ever heard good things about the system. The new Abyssals look like they could be fun. The only criticisms I have is why Mantic can’t just release stuff like a normal company, everything has to be Kickstarted? Also, why are they running this in November with the funding cycle set to end in December when Amazon will then automatically hoover money out of accounts. Surely it’s the worst time of year to do that with Christmas being right around the corner and barely over a month away at this point! I even made a statement of that on the forums. Then, someone rather helpful suggested why not back it fort $1 and then up the pledge when it comes time to submit what you want off the surveys. KickstarterKings of WarMantic GamesWhy reinvest profits when you can get other people to do it for you? That’s right, through the aligning of various celestial bodies and arcane rituals of a sort we’re unable to share on a publicly available medium, Gribblin and I turned up for some tabletop bases gaming goodness. In usual 6″ move style it’s taken us a good while to get together, more people were invited but apparently the virgin’s blood may have been contaminated as not everyone was able to make it on the day. What did we get up to then? Well, I’ll tell you. 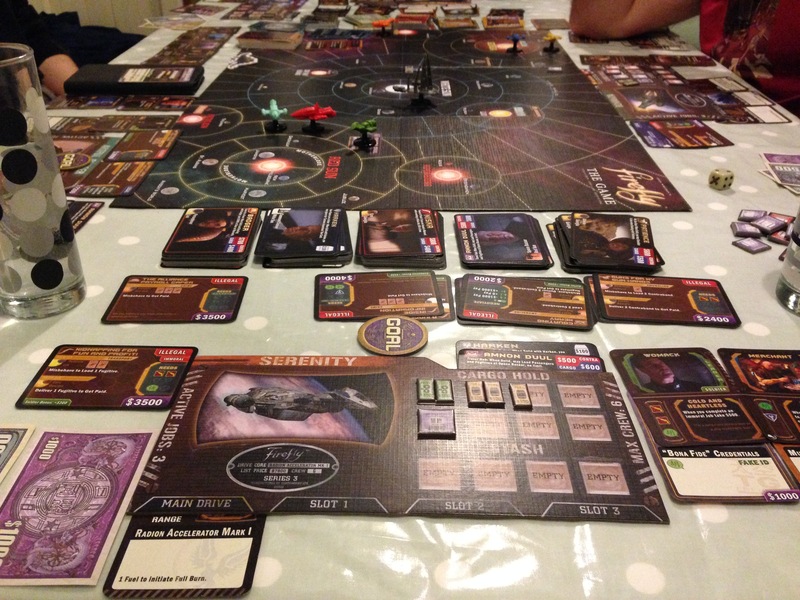 Firstly we got around to playing a game of Star Trek Attack Wing. It occurs to me at this point that it might be nice to show some photos, especially as we’re now playing over a lovely GF9 space mat that I purchased a day earlier. I have the asteroid one if you care, it is very nice. Gribblin brought his fully upgraded Borg Tactical Cube while I took a species 8472 fleet composed of two Bioships with a far more frugal load out. I really enjoy the customisability of Attack Wing, it builds on what was started with the upgrades available in X-wing, but with the extra crew and pilot talents, as well as being able to mix and match from across the range, there’s a lot of potential there. Yes, I know it can be frowned upon to take things out of faction but I like to think of them as in faction versions of stuff that there aren’t options for currently. You also pay extra for it of course. It was a very good game, I kept my ships in formation and unleashed the very best that Fluidic space could muster. The first few turns put some serious hurt on the Borg as the Bioship Alpha’s ability ensured there were auxiliary power tokens on the Cube and an early crit scuppered its actions as well, thus reducing its ability to regenerate. It tried to make a run for it but the agile Bioships doggedly pursued their quarry. In the end I lost a Bioship to the Tractor Beam/Cutting Beam wombo combo but that left the Alpha with a target lock on the Cube which it used to good effect by unleashing a blast of energy so vast there was no chance of regeneration. It was a tough game and losing the one Bioship delayed that killing blow as it was poised and ready to unleash something itself. Following some lunch and a brief respite we cleared away the Trek and setup a game of Dropzone Commander. Gribblin once again fielded his alien warmongering Shaltari against the righteous forces of my meat shield UCM. It was a game that I felt up against it a lot of the time. I refused one flank and left it to the fast-moving Shaltari, knowing that if I took the fight to them I’d be in a poor position as I could be outmanoeuvred. I took the centre building with two Bear squads, sadly, in a moment of poor planning I lost the Condor supporting them, even the 2″ bonus movement for moving on roads was not going to help. Luckily though I used my air cav infantry battalion to swap the objective over and flee the board with my “home” objective I’d won earlier. So, on turn 6 we both had 2 objectives off the table, however, Gribblin had is grubby downloaded consciousness on the final objective and was trying to evac by land with a Terragate. Luckily for me not only had I plinked a damage point off it earlier, but my Wolverine scouts had a clear line of sight to it and so it was, at pretty much the last roll of the dice I used the Kodiak’s orbital strike to target the gate. I rolled a hit and then watched with bated breath as the dice that would ultimately decide the fate of the game span across the table. When the die came to rest it showed that a gaping crater in the earth was all that was left of the plucky transport. Having no infantry actually inside it meant that the Shaltari could only watch with horror as they lost the objective. The UCM won on kill points as I’d managed to take out several of Gribblin’s units and all of mine were still healthy enough to not count for anything. Needless to say it was a very close game and was a rather nail-biting finish. Just the kind of game that we enjoy. Ctrl Alt Del – Accepting change (2014-06-30).